This is a real cool album out of the Hieroglyphics camp. Solid, diverse, new material that will have you rocking for days. 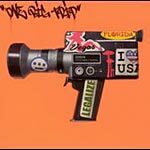 Produced by: DJ Nu-Mark, A-Plus, Evidence, Casual, Dan the Automator, J. Wells, Opio, Red Spyda, Madlib, Del, Domino and Rob the Viking.